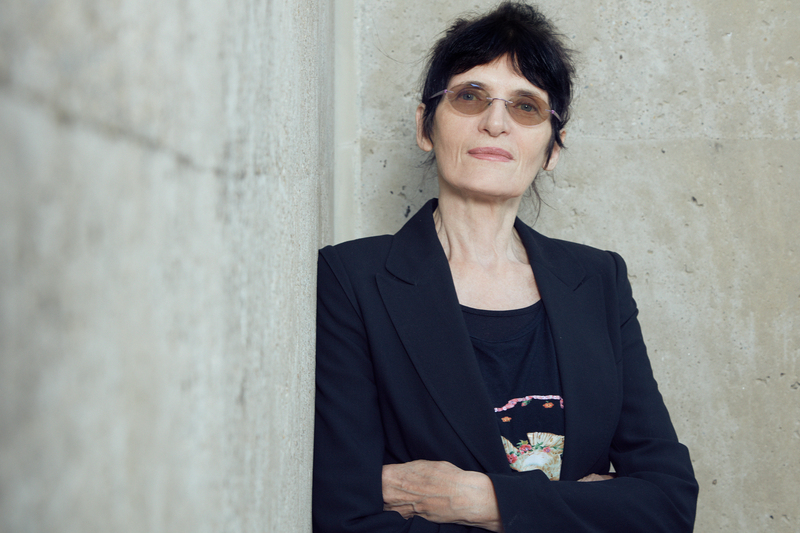 "Renate Bertlmann, a great contemporary artist, will take over the Austrian pavilion at the Biennale Arte 2019 in Venice. Thus, Austria will again make its contribution to a vibrant and creative arts scene,” said Federal Minister Gernot Blümel at the press conference held at the Studio Building of the Academy of Fine Arts in Vienna. 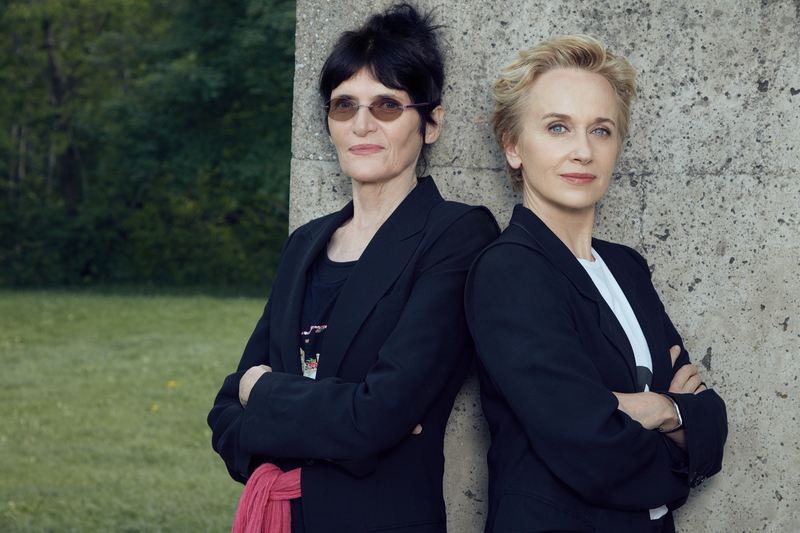 Together with the curator of the Austrian contribution, Felicitas Thun-Hohenstein, he presented the artist Renate Bertlmann whose works will be shown at the pavilion in 2019. "For more than 120 years, the Venice Biennale has been a magnet for art and culture enthusiasts from all over the world. As a renowned platform, it gives us the opportunity to take the great art and culture produced in Austria far beyond the borders of our country,” explained the Minister for Art and Culture. For the artists featured this also was a unique opportunity to present their work to more than 500,000 Biennale visitors and the expert community. “The diversity of the contributions exhibited in Venice provides a suitable setting for presenting a cultural visiting card of our country to an international audience,” Blümel stated. 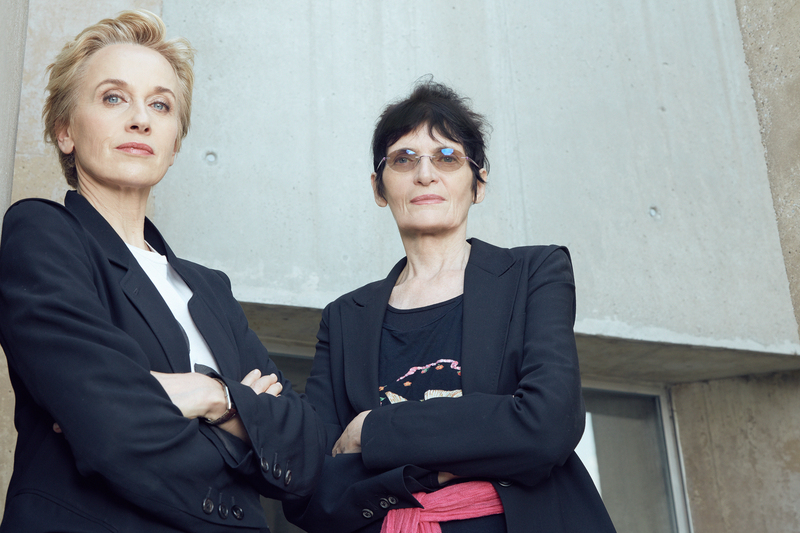 By selecting Renate Bertlmann, the curator opted for an artist whose work does not only hold a significant position in the female performance history in Austria but who also is highly esteemed in the international feminist avant-garde. The Vienna-born artist received the Grand Austrian State Prize in 2017. By presenting Renate Bertlmann, the Austrian pavilion will be dedicated to a female solo exhibition for the first time in its decades-long history. “The Austrian contribution for 2019 shall again be a starting point for a lively, internationally oriented discussion and certainly will clearly underline the world-wide presence and importance of Austria’s arts and culture,” the Cultural Minister concluded. The Biennale Lectures were held in cooperation with the Academy of Fine Arts Vienna in the runup to the Austrian contribution to the Biennale Arte 2019. See also www.biennalearte.at. Owing to its international significance, the Venice Biennale is among the most renowned forums for architecture and the arts. Therefore, it is one of the most important platforms for Austrian participants where they can present their work to more than 500,000 visitors (on an annual average) as well as countless experts from all over the world. 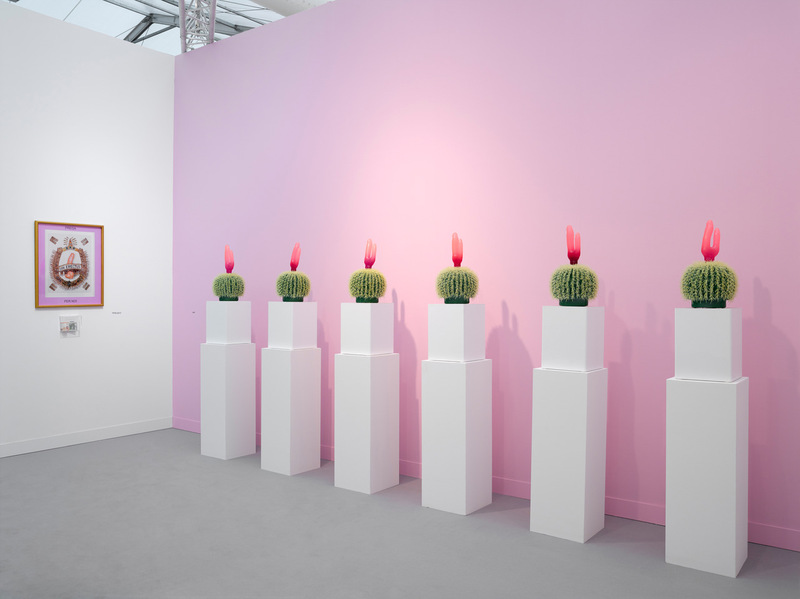 As a result, the exhibitions presented at the Austrian pavilion are of great relevance for providing an overview of Austria’s extremely vibrant contemporary arts and architecture scene and have made decisive contributions to the ongoing discourse and cultural development for decades. Thus, the selection of the curator is critical, in particular with a view to the opportunities offered by participation in the Biennale. Therefore, the Federal Chancellery has set up the selection procedure anew in line with internationally recognised standards. This new selection procedure was applied for the 2020 Architecture Biennale of Venice for the first time. 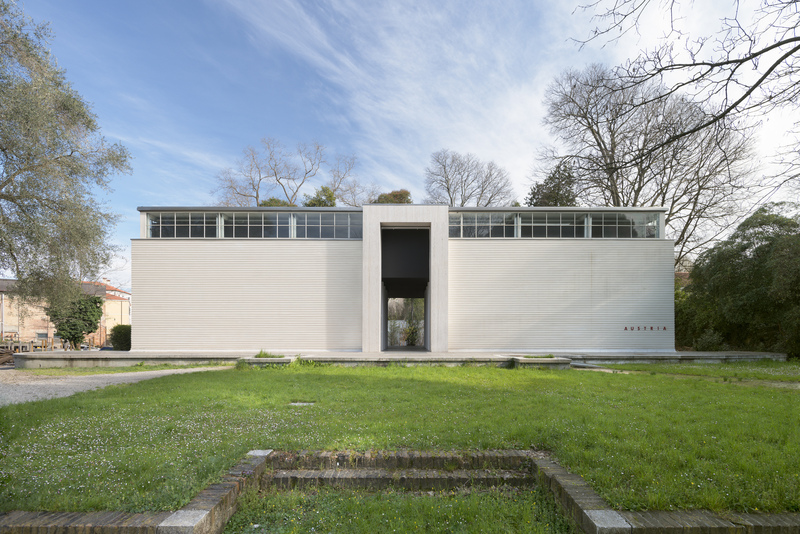 For the 17th International Architecture Exhibition of the Venice Biennale to be held in 2020, the Federal Chancellery organised a call for proposals on the curatorial concept of the Austrian contribution to be presented in the Austrian pavilion for the first time. The call “Project competition for the concept and realisation of the Austrian contribution to the 17th International Architecture Exhibition of La Biennale di Venezia 2020" was open from 1 December 2018 to 1 February 2019. All the eligible concepts received were screened by a jury of national and international experts. The jury in charge of reviewing and assessing the proposals submitted for the 17th International Architecture Exhibition of La Biennale die Venezia 2020 was made up of the following highly renowned experts (in alphabetical order): Matthias Boeckl, Ernst J. Fuchs, Verena Konrad and Andreas Ruby. The jury drew up a long list of all the eligible proposals received. All those included in the long list were invited to a personal hearing by the jury. After the hearings, the jury prepared a short list of the three preferred concepts. In a joint session of Federal Minister Gernot Blümel and the jury, the winning project “Platform Austria” by Peter Mörtenböck and Helge Mooshammer was selected. From now on, this procedure will be applied to the selection of all curators for the Austrian contribution to the Venice Biennale, in the field of the arts and architecture alike. The jury will be set up anew for each selection procedure (on principle, multiple participation of individual experts is not precluded). The jury for the Art Biennale 2021 will be presented in the course of 2019. Digital platforms become more and more important and increasingly pervade all spheres of life — including the ever more urgent issue of the future organisation of residential and living space. Which type of community is emerging here? What is the nature of the rules, rights and obligations in this new form of community? Which new aspects of public, civil society and politics are derived therefrom? “Platform Austria”, the winning project submitted by Peter Mörtenböck and Helge Mooshammer (Centre for Global Architecture), asks precisely those questions — and many more. They address the rise of digital platforms, such as Facebook and Google, which enter new business lines based on the data they gather and start building entire neighbourhoods. The occupation of public space by investors is a highly relevant, emerging issue that applies all over the world; it highlights the challenges that are at play in the democratisation of space. “Platform Austria” is based on research by Peter Mörtenböck and Helge Mooshammer, two Austrian scientists who cooperate with the team of mostlikely sudden workshop to design the exhibition at the Austrian pavilion for the Architecture Biennale 2020. Thus, the Austrian pavilion in the Giardini itself will become a platform for active discourse — on the potentials of the future and its architecture. The fact that the rise of “platforms” becomes the defining form of social and economic interaction in the 21st century is not just a matter of technological progress. While we slowly get used to operators of digital platforms breaking records in international financial markets, they are already busy doing away with the old order in many other fields: in politics, in education and healthcare, but also in the design of new spatial worlds and in building cities with a completely new organisation. 1) The leading role of “conversation”: The opportunity to communicate actively and continuously with countless users is the lifeline of platform economies. This uninterrupted connection provides the guarantee that people can immediately take up changes and flexibly respond to them anywhere and anytime. 2) The promise of “future potential”: Building on the resource of continuous conversation, platforms offer as their most important asset the promise to be the suitable structure for tapping future potentials. To foster reflection and debate on the social changes outlined, the “Platform Austria” exhibition turns the main rooms of the Austrian pavilion into a space for conversations on the potentials of the future and its architecture — and, as a result, becomes a platform itself that runs throughout the entire exhibition period. On a weekly basis, voices from all over the world are invited to blog their opinions on the future potentials in architecture and urban development under the theme “We like” within the framework of a six-day residency in the western part of the main pavilion. In parallel, an Instagram-like projection runs in the eastern part of the main pavilion that features visual contributions of all invited guests on the discussion subject “We like”. The lateral pavilions are used for a complementary exhibition on world-wide examples of platform urbanism that are based on research results of the Centre for Global Architecture. The main pavilions and the rear courtyard are furnished as an ever-present meeting place. Thus, the pavilion offers visitors a welcome resting place while exposing them to the discussion — hence, the exhibition’s design follows the combination of work and pleasure that is typical of the architecture of platform urbanism. “Platform Austria” is an experimental format that has not been used before. It is a critical analysis by a young team with overwhelming scientific competence which addresses one of the most important issues of our time in a globalised world. Since 1895 Austria regularly takes part in the Biennale di Venezia (Biennale). The Biennale Archiv is located at the University of Applied Arts Vienna and documents Austria’s contributions to the Biennale and the history of the Austrian pavilion. The archive, with its extensive digital documents and photographic material, as well as a reference library, are available for artistic and scientific research at the Angewandte Innovation Laboratory. Austria’s contributions are organised and implemented on commission by the Austrian Federal Chancellery and are significantly co-financed by it. They are a starting point for a lively, internationally oriented discussion and strengthen the country’s successful presence and the world-wide renown of Austrian arts, culture and architecture. Austria’s presentations at the Biennale contribute to a vibrant and creative art scene inside and outside Austria. The Venice Biennale is not just a magnet for art enthusiasts from all over the world, it is also an important forum attracting people from around the globe. Being one of the most significant art exhibitions world-wide, the Venice Biennale is more than a periodic show of the creative achievements of different nations. For decades, it has decisively contributed to contemporary discourse and cultural development. Since 1895 artists from all over the world have presented their works in the national pavilions of the Venice Biennale, which has been complemented by the biannual International Architecture Exhibition since 1980. The diversity of contributions and country presentations exhibited in the pavilions of the Giardini provide a suitable setting for showcasing the current works of art and architecture for an international audience. Austria was already invited to the very first Biennale in 1895 and ever since, has participated in each Biennale – with two exceptions – and all Architecture Exhibitions. A review of previous contributions illustrates the great variety of the positions exhibited there. The spectrum of Austrian contributions ranges from Gustav Klimt, Egon Schiele and Oskar Kokoschka to the manifold positions of contemporary art, such as Maria Lassnig, Bruno Gironcoli, Arnulf Rainer, VALIE EXPORT, Franz West, Herbert Brandl, Mathias Poledna, Markus Schinwald, Dorit Margreiter, Walter Pichler, Elke Krystufek and Heimo Zobernig, to name just a few. They all showed their works in the Austrian pavilion and successfully represented Austria as a country of the arts. In the field of architecture, too, major projects have been implemented. When Austria participated for the first time in 1991, the country contributed 13 Austrian positions under curator Hans Hollein. Innovation, mutual exchanges and openness to experimental projects permitted inspiration and further development.